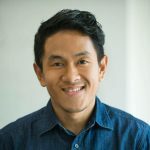 I blog about things I deeply care about: how social and political issues affect people in Indonesia; and how the online community is engaged in civic issues. I believe that freedom of speech is still in its infancy in Indonesia, and more work is needed to gain legal and public support towards the freedom of speech. I initiated the website “C1 Yang Aneh” (meaning “Irregular Tabulation Forms”) during the Indonesian 2014 election. The Wall Street Journal described the online efforts—among with other similar efforts—as “a precedent that is likely to be used in future elections”. I’m also a human-computer interaction designer by career and qualitative researcher in training. Currently, a Ph.D. student focusing on Human-Computer Interactions (HCI) and Personal Health Informatics (PHI) with research projects on how technology design affects human behavior in health. My HCI publications can be found here. I like good movies. You know, like, movies that when the credit rolls I evolve to a different person. Oscars telecast is like a world cup/superbowl final to me. I also am always thrilled by delicious tasteful foods to accompany a good intelligent talk. I bake my own bread and I LOVE chopping onions. On my spare time I play with my cats. sudah 2 tahun jadi anak kuliahan informatika. belum sempet bikin blog designer kaya gini. Wah, ternyata aku belum pernah nulis di halaman ini yo? Hallo, saya Lutfi Retno Wahyudyanti. Beberapa waktu lalu setelah ikut workshop blog di amikom, aku tertarik untuk ngeblog (lagi). Saya juga tertarik untuk bergabung dengan cah andong, apakah bisa langsung datang ke pertemuaannya, atau bagaimana? Mas Herman, saya pengen mengikuti blog ini, gimana caranya ya selain rss? makasih. Understanding the Consequences of Hospice Fraud and Whistleblower Actions Some people would have you think that all you need is good motorcycle insurance and you will be protected should you get injured in an accident, and that couldn’t the furthest from the truth. Herman Saksono, it’s look likes a name of my primary school friend…is that you Herman..Ungaran II..?? jalan-jalan diblog ini ahh,, salaam kenal mas, selamat berkarya terus, ditunggu postinganya terus..??? Salam kenal mas, tulisan-tulisannya menginspirasi. isinya keren beud. Terima kasih untuk tulisan Anda yang jernih tentang LGBT. Salam dari Arizona.